adds cost-effective flair. Great pairing with our Pure or Agate Series Jars. IN STOCK Fill sizes: 15, 30, and 50 ml. SIMPLY STRIKING! 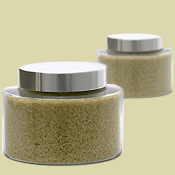 Designed for bath and body products, this heavy-wall jar is made from shatter-resistant PETG. Available clear or frosted. IN STOCK Fill size: 120, 180, 240, 360ml. Shown with Prairie metal closure. PROMOTING PRODUCT PURITY. 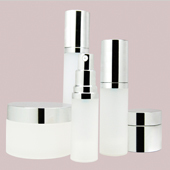 A metal-free fluid pathway provides the ultimate product protection. Suited for viscous formulas. Double-wall design gives this dispenser a look of substance. A PP dust cover is included. GCMI neck finish: 24/410. Silver, Matte Silver, Gold finishes available IN STOCK. Modern apothecary: The hinged lid on this clear, lightweight, shatter-resistant PET jar lends bath and body products sophisticated style. Clearly stylish: A subtle taper gives this clear PET bottle new shape. Lightweight and recycle friendly. Shown with silver-banded matching cap. Subtle shine: A metallic pearl finish makes this PET bottle extraordinary. Lightweight and recycle friendly. Available with numerous dispenser and cap options. Fill size: 90, 120, 180, 280 ml. Custom Fitted IMAGINE THE POSSIBILITES! 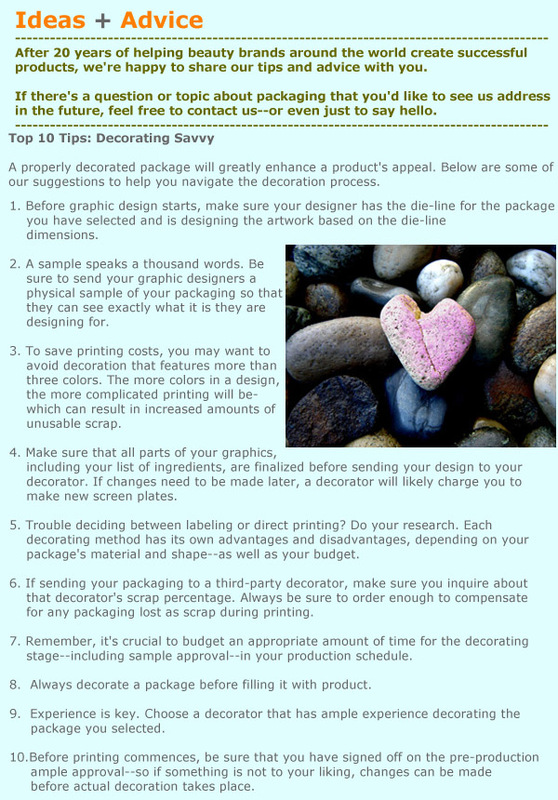 Make a statement with packaging that delivers your unique brand message. These new designs allow you to create a customized look that's all your own. 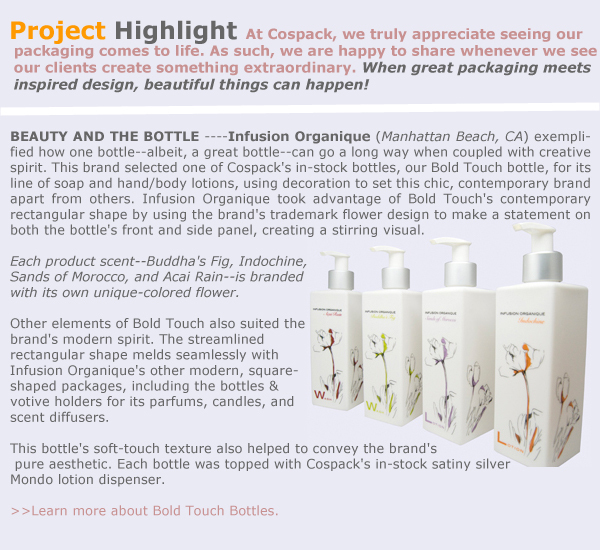 At Cospack, our job is to help your brand--and your packaging--stand out from the crowd. Distinctively modern: A streamlined shape evokes modern elegance. A metal-free fluid pathway in the pump keeps your product pure. 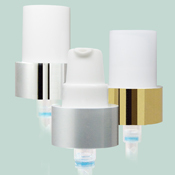 Bottle, pump and cap can be customized through color matching, spray coatings and a host of other decoration methods to create your unique look. Fill sizes: 15, 30, 50 ml. Doubly modern: A double-wall design and airless technology combined, offering the latest in style and function for this matching pair. A wide range of customization options is available to make this packaging uniquely yours. 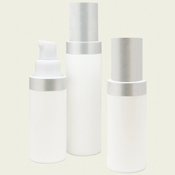 Bottle fill sizes: 15, 30, 50 ml. 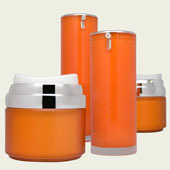 Jar fill sizes: 30, 50 ml. 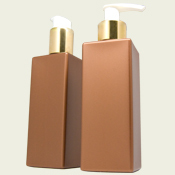 Style, Squared: This versatile bottle can be customized in a metallic or soft-touch finish. A four-sided "canvas" allows for unlimited design possibilities. Wide range of dispenser and closure options. Matching jars are also available. Fill size: 240, 300 ml. 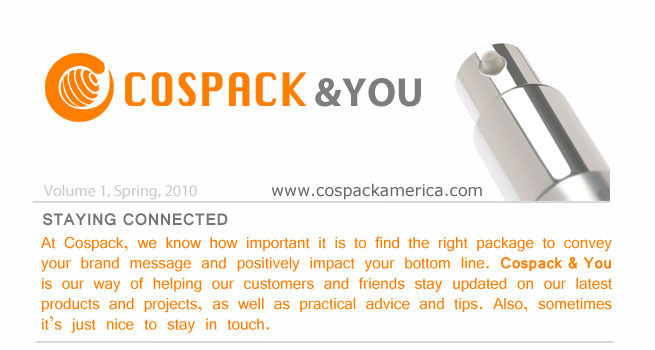 ©2010 Cospack America Corp. All Rights Reserved.